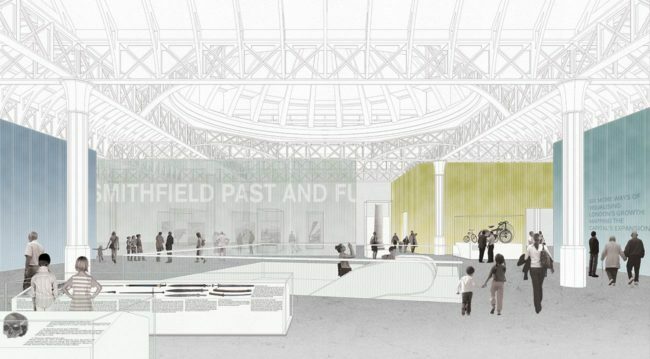 The Museum of London has today revealed the design concepts from the six architectural teams shortlisted in the international design competition for the new museum at West Smithfield. The site includes Smithfield General Market, the Fish Market, the Red House and the Engine House. 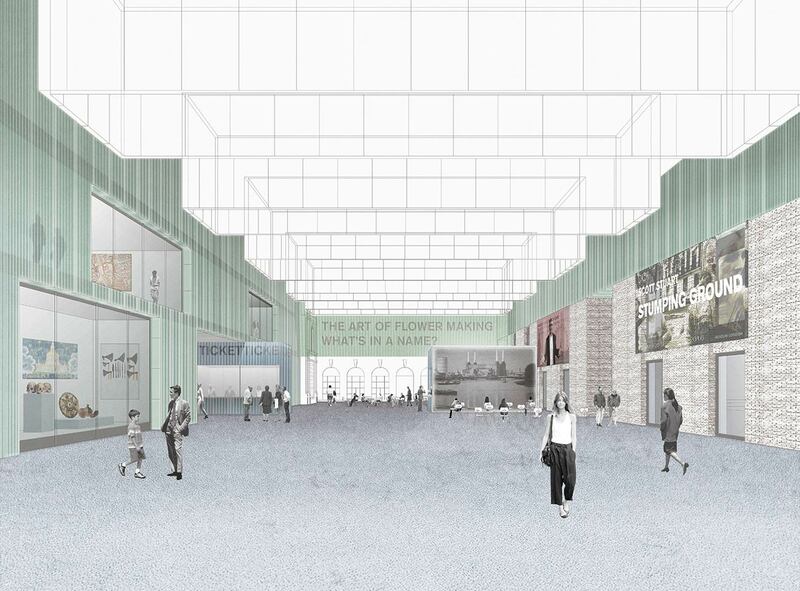 The early stage design concepts, which illustrate what the new museum could look like, embrace a wide range of interpretations, all of which demonstrate high quality, creative ideas and innovation for this exciting project. 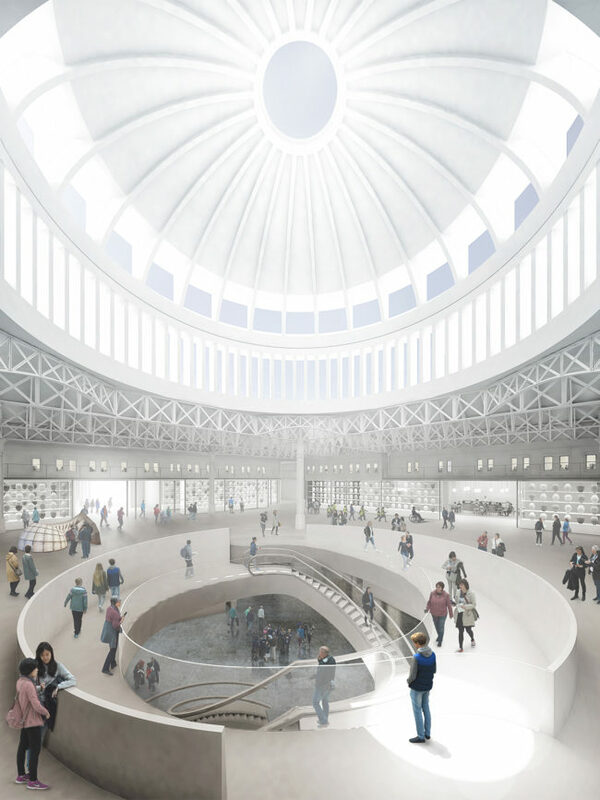 The winning architects will work with the museum to refine their ideas to ensure they sensitively balance the history of the site with the museum’s ambition and that the look and feel of the new museum embodies London. 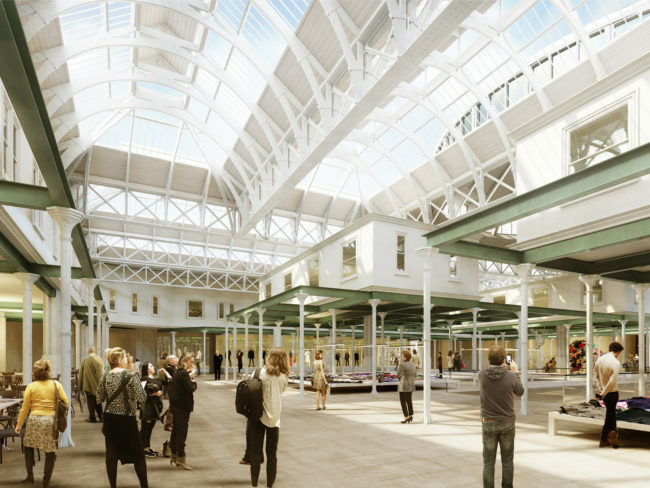 The designs will now go on display at an exhibition at the Museum of London, from 10 June to 5 August, 10am – 6pm daily, to give the public an opportunity to view the designs and learn more about the museum’s plans to move to West Smithfield. 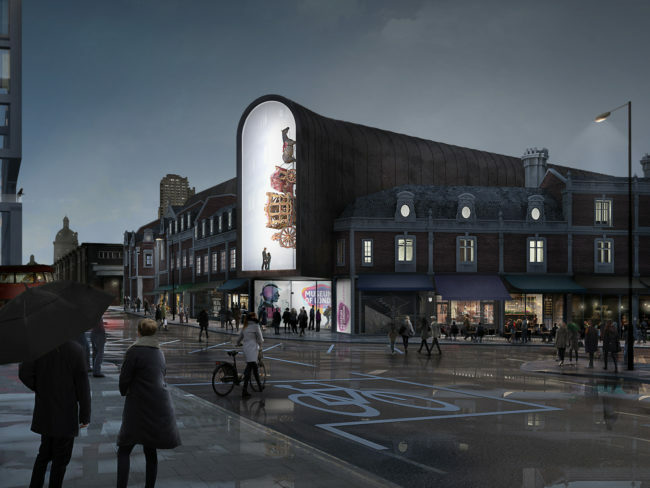 The shortlisted entries will be judged by a panel of well-known figures from the worlds of the arts, media, property, architecture and business, chaired by television and radio presenter, Evan Davis. 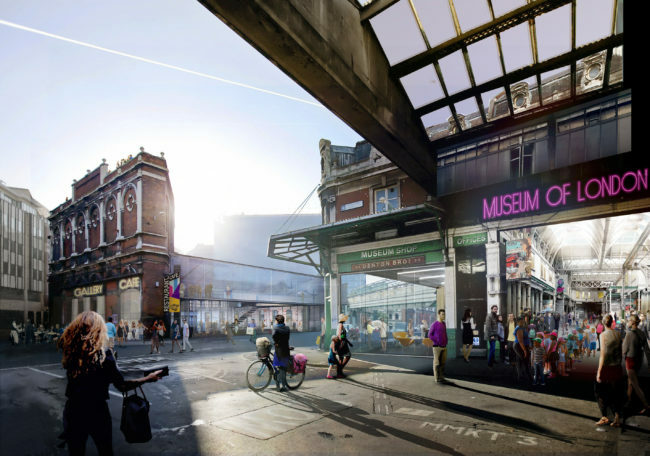 The winning team is expected to be announced later this summer, following ratification from the Museum of London’s Board of Governors. The Museum of London has outgrown its current building, currently attracting one million visitors per year. 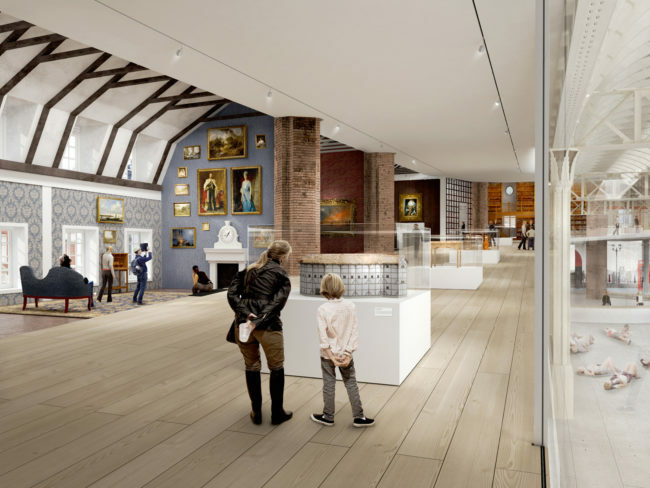 This number is set to grow and so the move to West Smithfield would allow the museum to double the number of visitors it welcomes and finally be able to show never-before-seen artefacts from its rich collection, which are currently sat in storage due to space constraints. 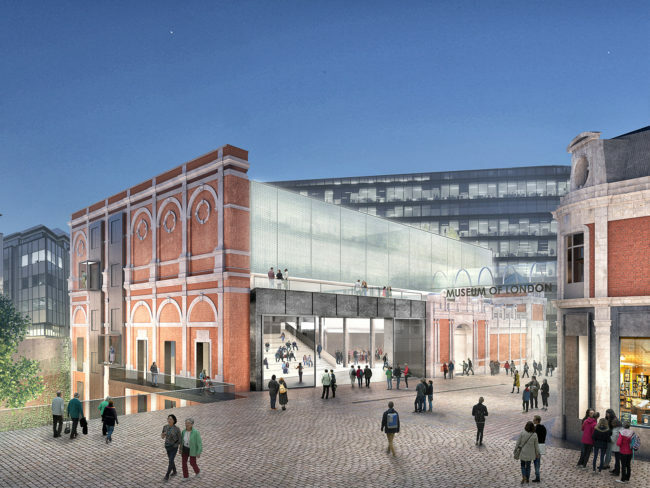 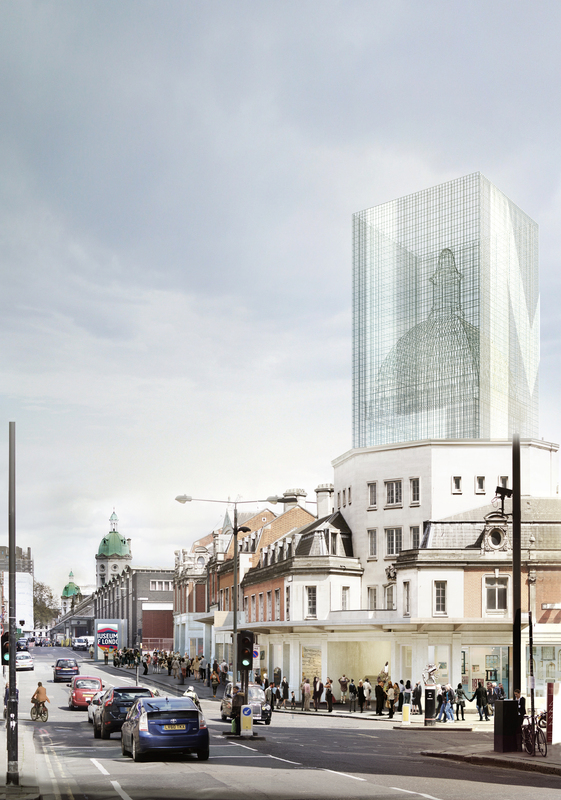 The museum intends to submit a planning application for the West Smithfield site to the City of London Corporation in 2017 and to deliver the new museum by 2021. Funded by the Mayor of London through a £200,000 grant, the international design competition is being run by Malcolm Reading Consultants (MRC) on behalf of the Museum of London in accordance with European Union procurement guidelines under the Restricted Procedure. 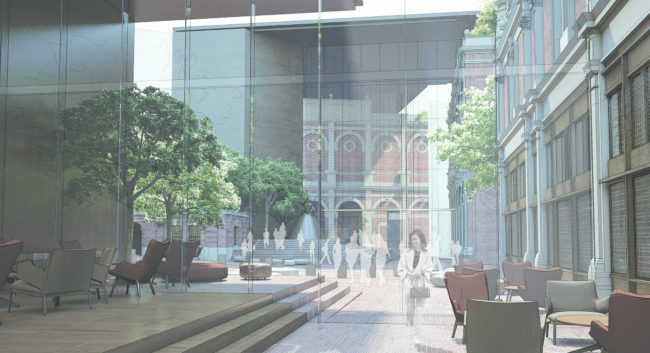 The jury has recently welcomed a new member, journalist, author and broadcaster, Sir Simon Jenkins. Full details of the public exhibition are available on the museum’s website website.